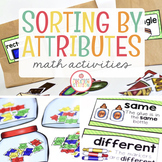 Sorting Mats - I can sort by color, shape, size, and texture! This a PowerPoint that reviews sorting by color, shape, and size. It is an interactive game. You can play it whole group or small group. You click on the home screen and click on each question. This is classroom tested. It is a short game to use as a end of unit review. 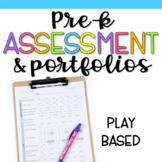 Very basic SMARTboard file with 3 pages. 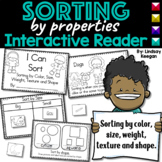 Each page allows students to sort the objects by shape, color, and size. 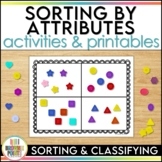 Preschool Assessment:Sort by color, shape, and size. Sorting posters. Includes sorting game cards with game pieces for an easy low-prep center.